It was like stealing candy from a baby. At least it was for the police officers who recently arrested a Dundalk man for possession of marijuana with intent to distribute. 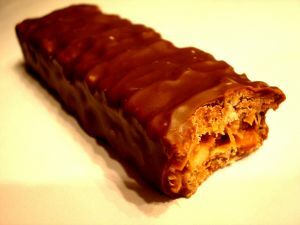 Early in the morning hours employees at a Pennsylvania gas station observed the man placing unidentified candy bars in his pockets. The employees called 911 and law enforcement began searching the immediate area for a man matching the description. The man was spotted within ten minutes by local cops, who detained the Maryland man. After confirming the identification of the candy bar thief, police officers arrested the man for shoplifting. Search incident to arrest revealed two candy bars worth a total of $3.58. It is unclear whether the candy bars were king size, or if the gas station simply charges almost two dollars per bar. Nonetheless, the man would have likely avoided a trip to the local jail had he only been found in possession of candy, but that was not the case. The Baltimore County man was also found to be in possession of 11 small bags of marijuana, which police claim were packaged for sale. Police did not say just how much marijuana was in each baggie, or whether they discovered any additional evidence that would indicate possession with intent to distribute, but the man was booked on that felony charge along with misdemeanor retail theft. He was released on $5,000 dollars bail. The defendant recently waived his right to a preliminary hearing for the felony distribution case in the same manner that a defendant would waive a preliminary in Maryland. According to Pennsylvania court records, the Dundalk man has one prior conviction for possession of marijuana in addition to this current arrest. There are a few legal issues that the man’s criminal defense attorney will likely have at his disposal. First, the defendant’s lawyer will likely have to explore how the police found the candy bars in the first place. If the man fit the description of a suspect in an alleged theft, police were certainly able to make a citizen contact and investigate further. Police may also have been able to conduct a pat down search for weapons. But police would not have been allowed to search the man’s entire person until and unless he was arrested. If police did not have probable cause to arrest the man before the candy bars were found, then the lawyer can challenge the illegal detention and subsequent search. One way that police could have developed probable cause is if they brought the store clerks to the scene to conduct a show up identification. A show up identification may not be the most reliable piece of state evidence at trial, but these are often used to develop probable cause for an arrest at the scene of an alleged crime. Criminal lawyers typically challenge these show up identifications by arguing bias due to the fact that there is usually only one person to choose from, as opposed to a lineup where multiple suspects are presented to the witness. If the initial search that revealed the candy bars was upheld, the defense will likely have a difficult time suppressing the marijuana that was found search incident to arrest. The moral of the story is to not make it any easier for the police to arrest you. This defendant should have waited to get rid of the 11 bags of marijuana before he allegedly decided to steal a couple Snickers bars. 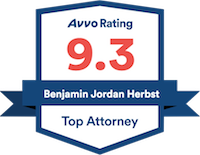 Benjamin Herbst is a criminal defense lawyer that handles drug crimes in Maryland including theft, possession of marijuana, and drug distribution. Contact Mr. Herbst at The Herbst Firm for a free consultation. Man waives right to hearing in Shippensburg drug distribution case, cumberlink.com.